Extracts from Crush - A new musical comedy with book by Maureen Chadwick and music & lyrics by Kath Gotts. Premiered at the Belgrade Theatre, Coventry September 2015. 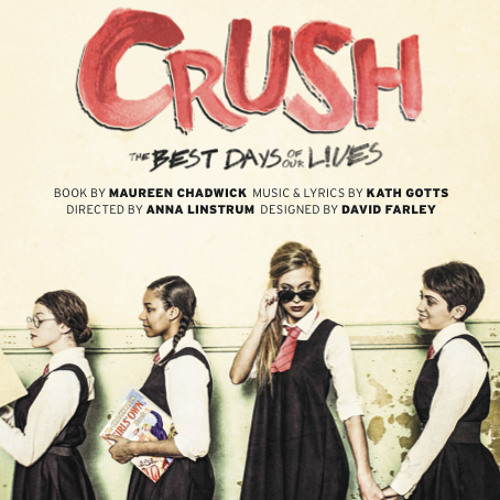 More information at www.crushthemusical.com Script (incl. lyrics) published by Nick Hern Books April 2016. https://www.nickhernbooks.co.uk/Book/1866/Crush-The-Musical.html Amateur licensing now available. Enquiries to Nick Hern Books. Studio recordings from the 2013 Workshop Cast, recorded at Price Studios.